Looking for a new fun, girly, spring bath bomb? Then check out my latest Lush Think Pink Bath Bomb Demo Video and see how beautiful it will make your bath! I hope you like my latest Lush Bath Bomb demo video, please subscribe to my Youtube channel and give it a like if you enjoyed it! 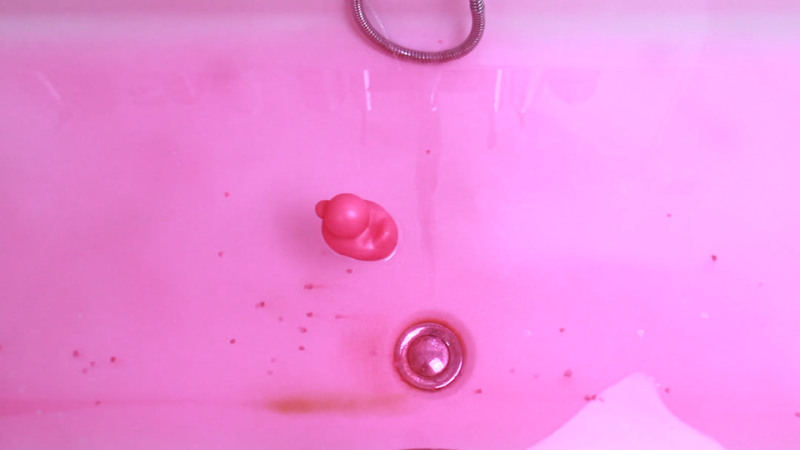 The Lush Think Pink Bath Bomb creates a really relaxing and very pink bath. 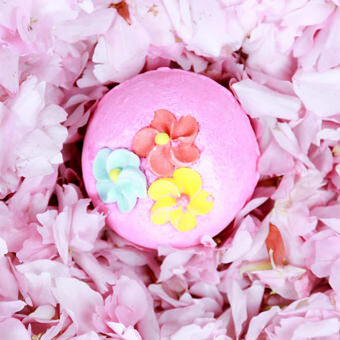 The ingredients in it give the bath bomb a lovely sweet scent with Tonka Absolute, Fair Trade Vanilla Absolute, Neroli Oil, Lavender Oil as well as Pink Heart rice paper Confetti and decorated with Candy Flowers. Although this is one of Lush’s smaller bath bombs, and cheaper at £2.65, it has a very pungent vanilla, floral fragrance as well as delivering a strong colour. For a girly night in or a romantic themed bath you can surround yourself with rice paper confetti hearts. The Neroli Oil stops the fragrance from being too sickly sweet as it gives a citrus top note, which combined with the Lavender Oil helps relax you and clear your mind. Even though it offers a cute, fun bath I wouldn’t say that it did anything for my skin, some Lush bath bombs leave my skin feeling soft and moisturized but I didn’t notice any of that after the Lush Think Pink Bath Bomb. The candy flowers are a really pretty detailing on the front but you can see in the image below that they do leave a little bit of discolouring at the bottom of your bath which whilst it doesn’t leave a stain doesn’t look very attractive initially. Have you tried the Lush Think Pink Bath Bomb? 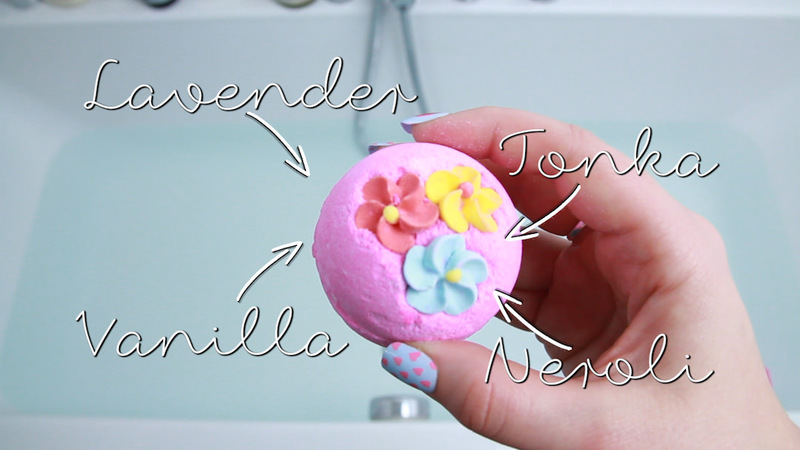 Which Lush Bath Bomb Demo Video would you like to see me film next?